Navigator requires a smooth and level surface for operation. In the mobile mode, the feet of Navigator clear the operating surface by approximately 20 millimetres. A typical concrete slab floor provides a suitable operating surface, however areas around sumps, drains or other variations in level exceeding 20 millimetres will not permit correct operation. Navigator is highly manoeuvrable and is suitable for use in confined spaces. Space for movement in aisles and between machinery and fixtures. Navigator is ideal for this application as it provides excellent manoeuvrability for maximum speed of relocation between fixtures. For safe working, items to be handled should be light weight (5 kg maximum) and able to be carried in one hand. 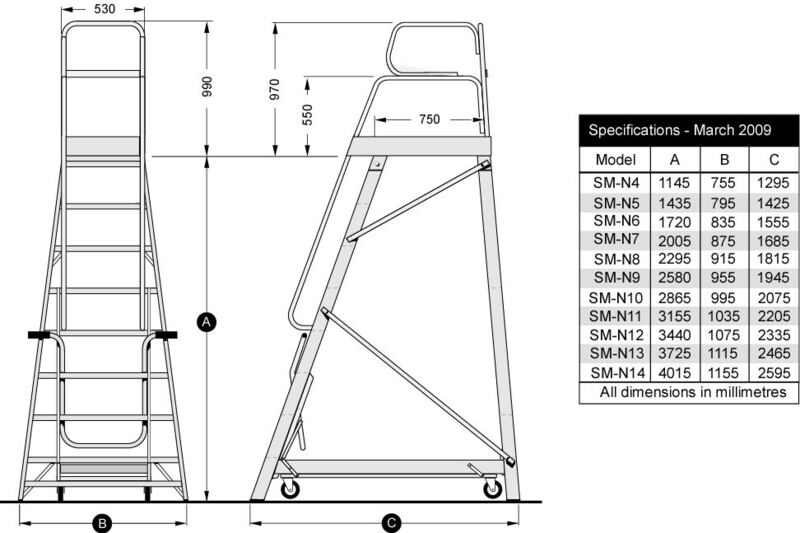 (For large or heavy items see StockMaster Lift-Truk. 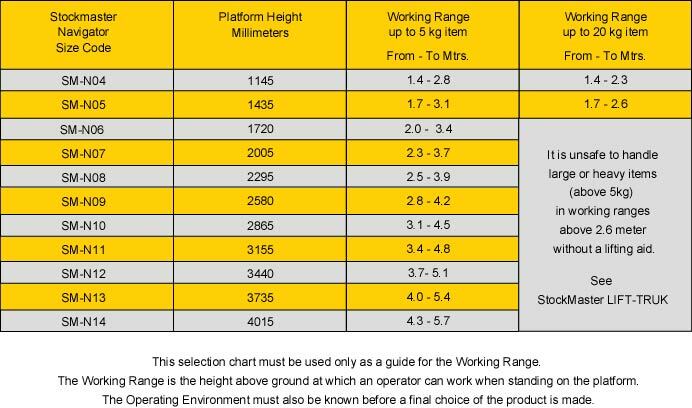 An exception is Navigator sizes 4 and 5 where suitably sized items may first be placed on the platform before transferring to shelving or retrieving from ground level. If the Operating Surface is poor, StockMaster Tracker can be suitable dependant on the available Operating Space. This application is generally best serviced by StockMaster Tracker, however in confined spaces on good quality floors, Navigator is the preferred choice.